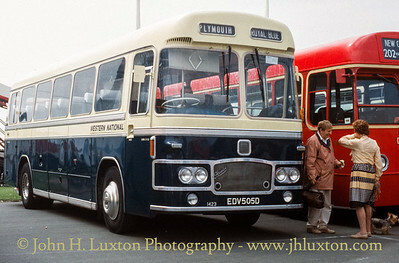 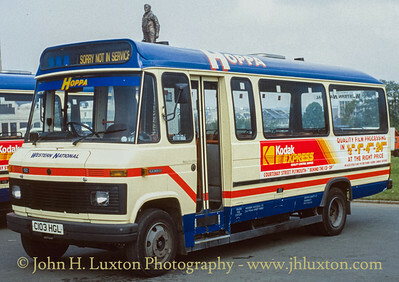 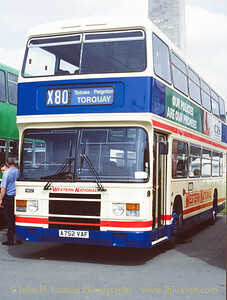 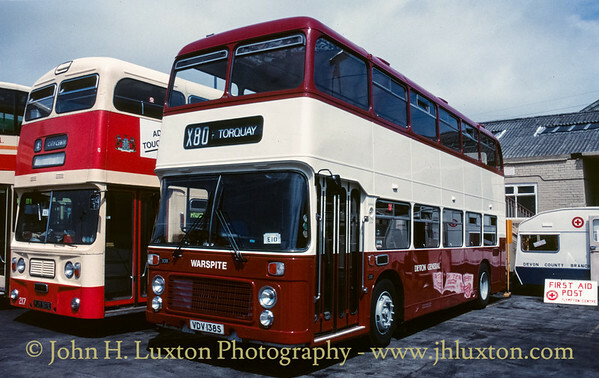 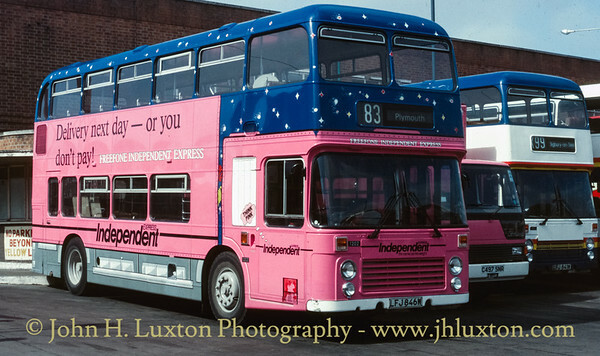 Photographs of Western National Buses and Infrastructure taken after the company was reorganised. 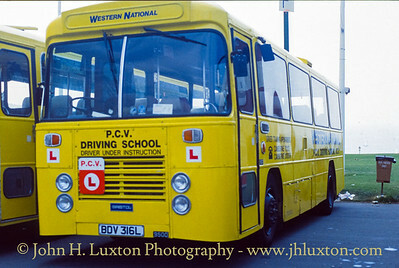 Bristol LH BDV316L 9500 in Western National PCV Driving School livery. 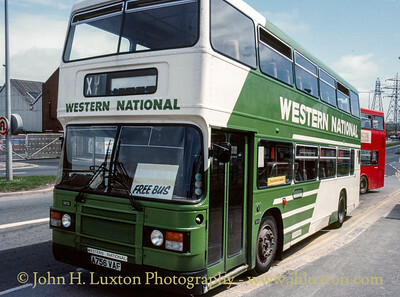 Preserved Western National Bristol LHS6L LHS/131 VOD125K of 1972. 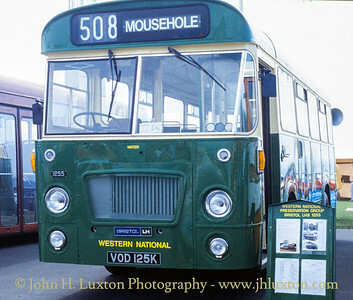 The vehicle had entered preservation the previous year. 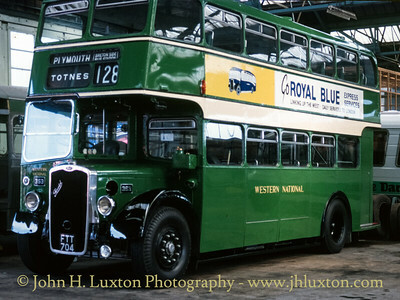 Preserved Western National Bristol MW6G 1423 of 1966 in Royal Blue Livery, carrying Western National fleetnames. 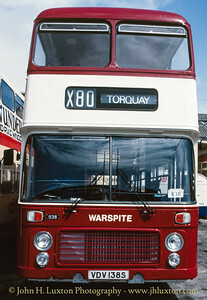 Former Western National Omnibus Company "Seadog" class WARSPITE which was transferred to the new Devon General Ltd in 1983. 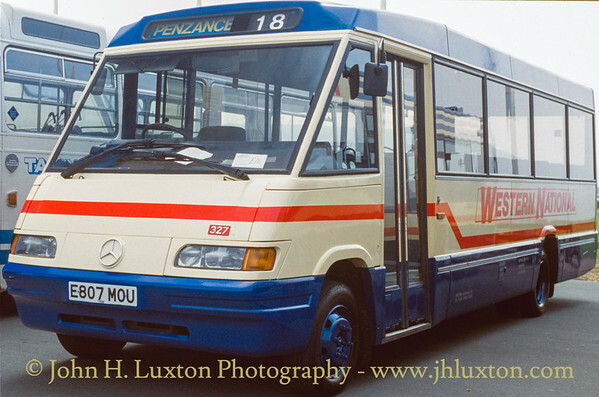 Seen visiting for the 1986 Laira Bridge Rally. 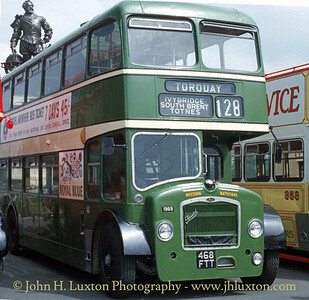 Preserved Western National Bristol FLF 1969 468 FTT at Laira Bridge. 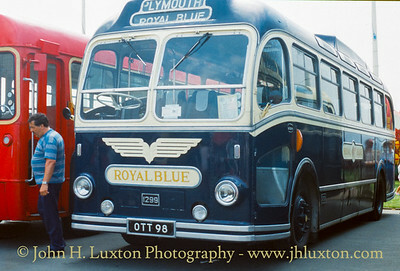 Western National Leyland Olympian A756VAF outside Laira Bridge Depot. 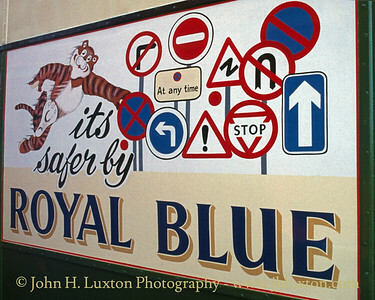 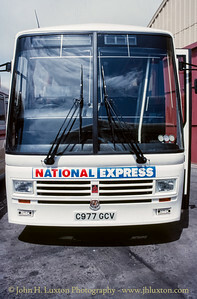 Western National (Royal Blue) Leyland Tiger C977GCV in National Express Livery. 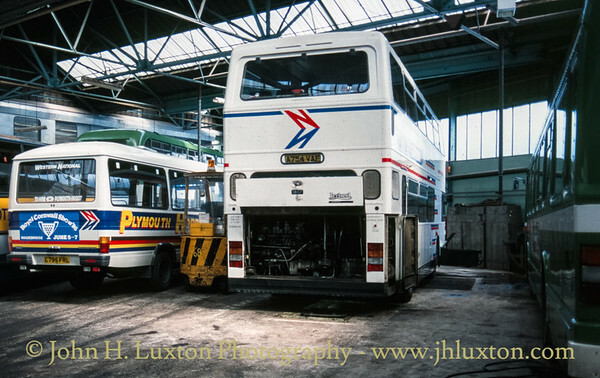 The engine cover is up on Leyland Olympian A754VAF at Laira bridge. 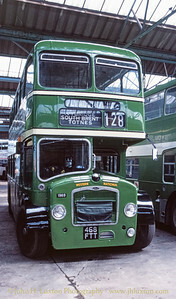 This vehicle is now preserved. 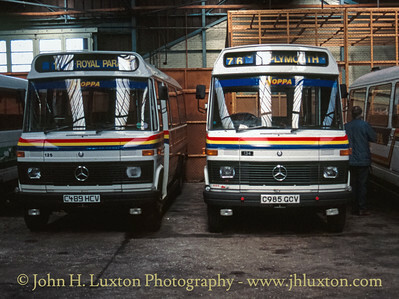 Reebur bodies Mercedes Minibuses inside Laira Bridge Depot. 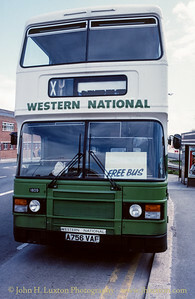 Western National Bristol VRT 12002 LFJ846W in overall advertising livery for Independent Express parcel couriers. 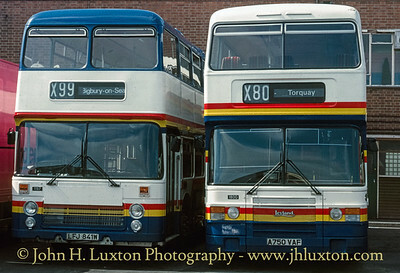 Western National Bristol VRT 1197 LFJ841 and Western National Leyland Olympian 1800 A750VAF at Laira Bridge. 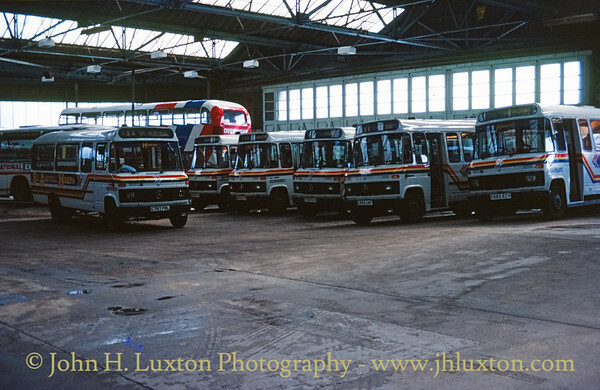 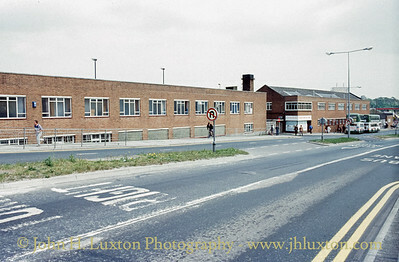 Western National Laira Bridge Depot and Works.